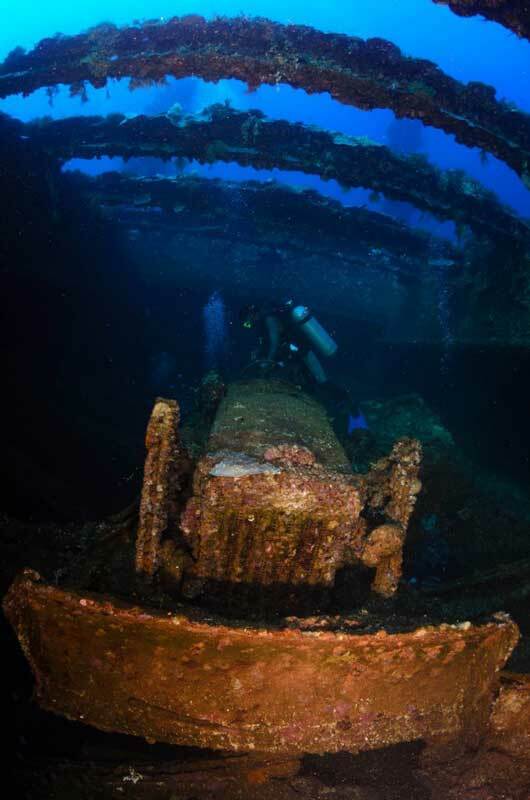 Michael McFadyen's Scuba Diving - Hoki Maru The Hoki Maru is one of the lesser dived wrecks of Chuuk Lagoon (Truk Lagoon) but it is not only a vastly underrated dive, it has a very interesting history. Originally built as the MV Hauraki, the ship was constructed by William Denny & Brothers at Dumbarton in Scotland (a nice little town just a few kilometres north of Glasgow). As an aside, the shipyard was established in 1844 and one of the most famous in the UK. She was launched on 28 November 1921 and displaced 7,113 tons gross and was 137.5 metres (450.3 feet) long and just under 18 metres (58.2 feet) wide. The new ship was powered by two eight cylinder North British Diesel Engine Works diesel engines (built in Glasgow) (963NHP) and she entered service on 13 May 1922 (although Lloyds Register for 1922-23 says March 1922). 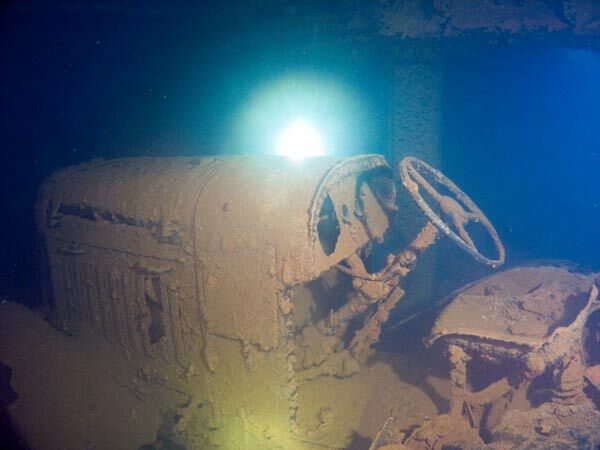 The ship was the first Denny vessel designed as a large diesel powered ship (I think some may have been built before but they were designed as steamships but fitted with diesel engines). She was primarily a cargo vessel but had accommodation for 12 passengers. 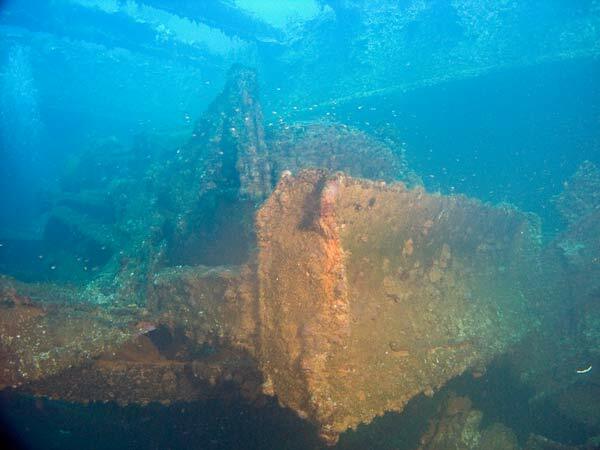 The ship was built for the Union Steam Ship Company of New Zealand Ltd and was their very first diesel powered vessel. 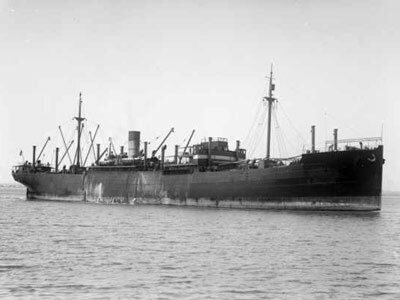 She was used in the trans-Pacific cargo trade, mostly Sydney or Melbourne to Fiji where sugar was taken on board and then to Vancouver in Canada. On the return trip, timber and general cargo was carried. Sometimes she called in at Rarotonga in the Cook Islands on the return journey. In April 1932 she was moved to the Sydney - Suva (Fiji) - Rotuma - Navau - Sydney route, with apparently some other longer trips. In February 1936 the Hauraki departed California with Australia's very first Douglas DC-2 aircraft as deck cargo. The plane was covered in grease and surgically taped on all openings to protect it from salt water. Approaching New Zealand the ship encountered a wild gale which threatened to tear the plane off the deck. However it survived without damage. On 14 April 1936, the ship and plane arrived in Melbourne. The new plane was owned by a company called Holymans Airways which seems to have had some connection with the Union Steam Ship Company of NZ, as together with Huddart Parker Ltd, they had tendered to operate an air service across Bass Strait from Melbourne to Tasmania. This is probably why the Hauraki carried the plane from the US to Australia. The new plane was transported by road from the port of Melbourne to Essendon Airport, via a very torturous route to avoid low bridges etc. The plane was registered VH-USY and was soon taken over by the new Australian National Airways Ltd (ANA) which had been formed by an amalgamation of Holymans and Adelaide Airways. An interesting fact is that VH-USY made an emergency landing in a field near Dimboola in Victoria on 8 February 1940 after a fire in the starboard engine. No lives were lost. In 1940 the Hauraki was requisitioned by the British Ministry of War Transport. The ship under Captain A. W. Creese and staffed mostly by New Zealanders, was used on "special service". However, the ship remained in the Company's service to North America until February 1942 when she was dispatched from Sydney to Aden, Port Said and Haifa. On 4 July 1942 the MV Hauraki left Fremantle in Western Australia bound for Colombo in Sri Lanka (formerly Ceylon). She was on her way from New Zealand to the Middle East with a load of war supplies. 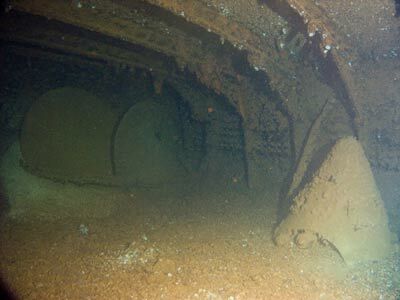 On 12 July 1942 at about 2150, the MV Hauraki was ambushed by the armed merchant cruisers Hokoku Maru and Aikoku Maru and captured. 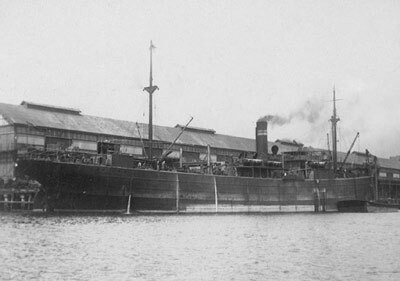 The Hauraki was taken to Singapore (Penang is mentioned in Union books) and the crew sent to Ofuna Camp and through other camps to the Mitsubishi Shipyard in Japan. The Captain, A. W. Creese and 23 crew survived the war. 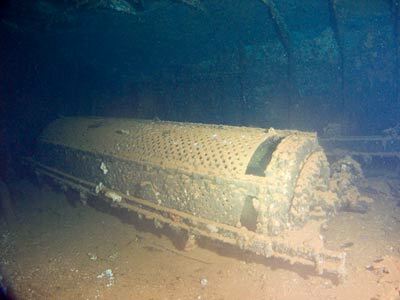 It is ironic that the Aikoku Maru was the ship that captured her, as today the Aikoku Maru lies less than a kilometre away, totally cut in half. 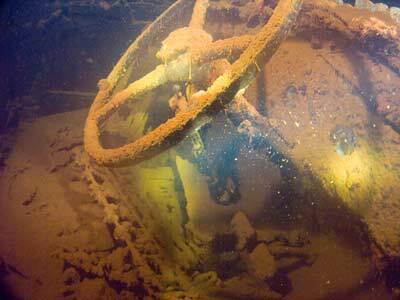 For more information see my article on the Aikoku Maru. 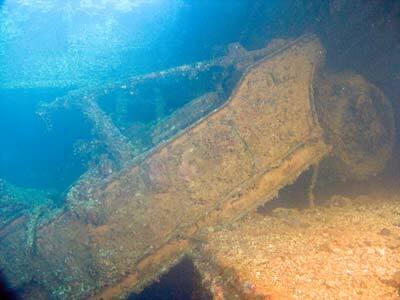 On 31 December 1942 the MV Hauraki was renamed Hoki Maru and designated as a special transport. Prior to this, some modifications were made to the ship including adding a deck to the bridge and making certain repairs, including some of the "damage" done to the ship by the New Zealand crew on the trip to Singapore after being seized. In early January 1944 the ship left Yokohama for Chuuk (Truk) carrying coal, defence materials and other supplies. The ship arrived in late January. 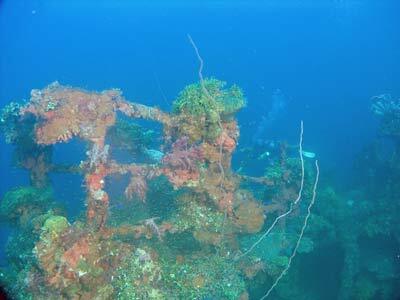 On the morning of 17 February 1944 the Hoki Maru was anchored to the east of Eten island in Chuuk Lagoon. 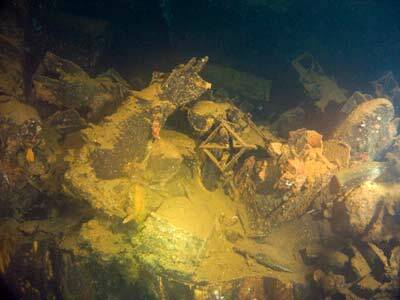 She was attacked several times and at about 1245 on 17 February she was torpedoed by an Avenger from USS Bunker Hill. The torpedo hit the port side and the fuel oil, petrol and diesel she was carrying in drums ignited and set the front of the vessel alight. 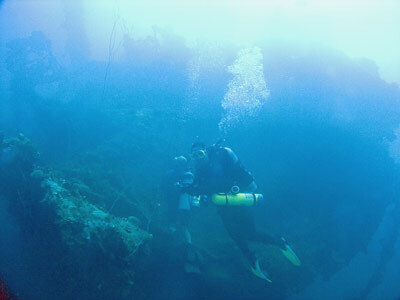 The ship was discovered and then lost before being rediscovered in 1980. A GPS Reading of N7° 21' 13.5" E151° 54' 48.3" using WGS84 as the datum will put you on the bridge. 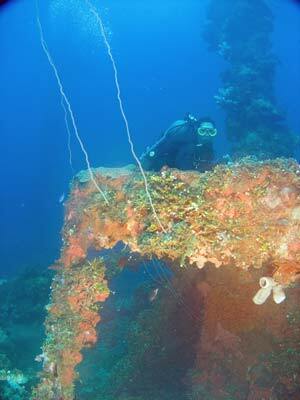 Today, the Hoki Maru lies upright on a sandy bottom of less than 50 metres. 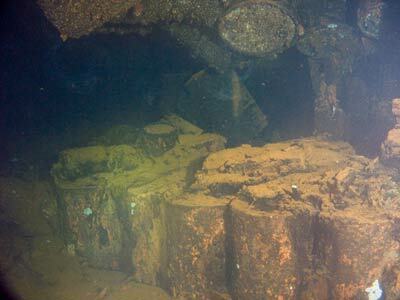 The stern deck is 30 metres, the bow 36 metres, the bridge area is 25 metres and the depth gets to 49 metres inside some holds. The dive boats generally anchor near the bridge which has suffered a good deal of bomb damage. From here it is best to go to the stern as the more interesting holds are the rear ones. Forward of the bridge the whole deck has been peeled back like an onion over the other part of the deck. There is a mast straight behind the superstructure and then Hold 4. For the moment, head straight to the stern and go over Hold 5 as well. 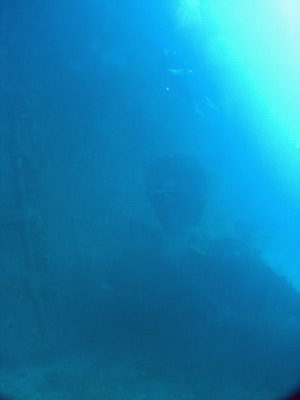 The stern is very attractive, with the starboard propeller the most visible as it is in sunlight (in the morning when you are most likely to dive this wreck). The three blades are clear of the sand. A smallish hatch cover lies over one of the blades. The port prop is also visible, but it is darker as it is shaded. The huge rudder is also very nice. There is bomb damage to the rear port side of the poop deck area. It looks like a large bite has been taken out of the deck. 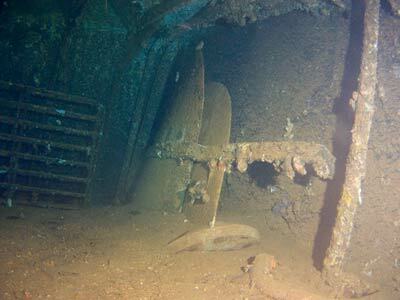 On the starboard side in front of the poop deck there are two spare prop blades on the wall. 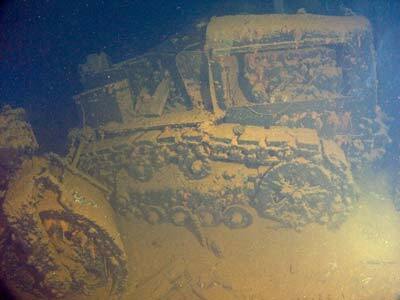 Hold 5 has a bulldozer and a tracked caterpillar-type machine (if it is a bulldozer it does not have a blade) on the beams of the 'tween decks. In front of the port side dozer is a "steamroller". There are also two large compressors on the first 'tween deck level. The second 'tween deck level has six trucks and a tractor. 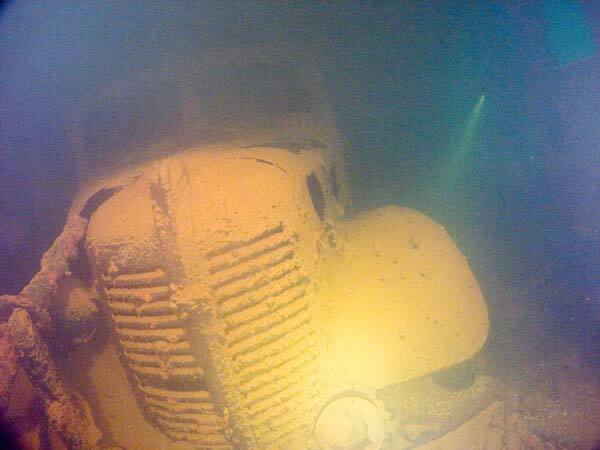 Three of the trucks are lined up facing the rear of the ship and are very intact, possibly the best examples in Chuuk Lagoon. 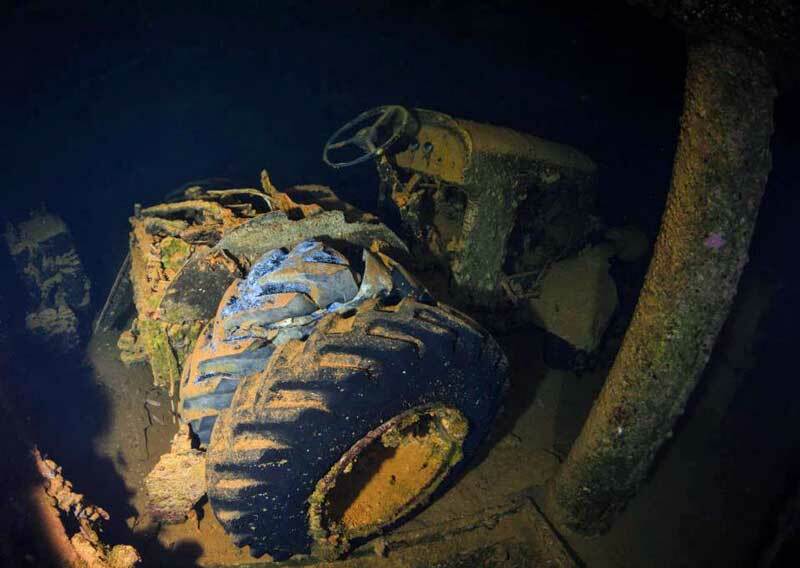 There are also two trucks and another bulldozer which lies below the girders facing across the ship and pointing down at 45°. 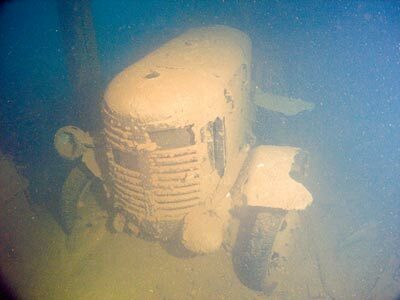 There are also two small "steamrollers" and a tractor on the starboard side. There are some rolls of mesh, perhaps fencing but more likely I think of mesh that was put on swampy ground so cars, trucks and planes do not get bogged. Some of the rolls are behind the trucks. There appears to be a lot of coal in the 'tween decks of this hold. On the starboard side of the 'tween decks, at the front, there is what appears to be a giant stone/rock crusher (to make blue metal for roads/runways). This is a long cylindrical object with holes all over the barrel. There is a kingpost between Holds 4 and 5. You can swim into Hold 4 via doors on the 'tween deck on the port and starboard sides. The starboard door is adjacent to the stone crusher. As you come through the door, look carefully and you will see two prop blades next to each door. There is also a spare prop spinner between the two doors and another forward of the blades on the port side. On the deck adjacent to Hold 4 (and also 5) there are some other interesting things. 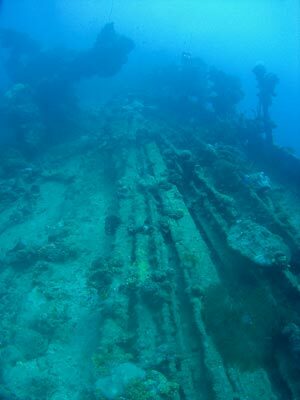 The port side has what appear to be railway tracks while the starboard side has girders and more railway tracks. The derrick has fallen into the hold. From here swim back to the bridge. There is not much to see here due to the damage. 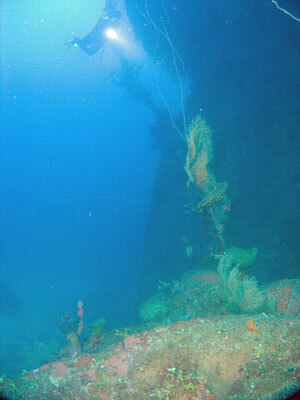 This is about all you will see on a single dive on the Hoki Maru as the dive described will take about 22 minutes giving you a decompression of two minutes at six metres followed by eight minutes at three metres. 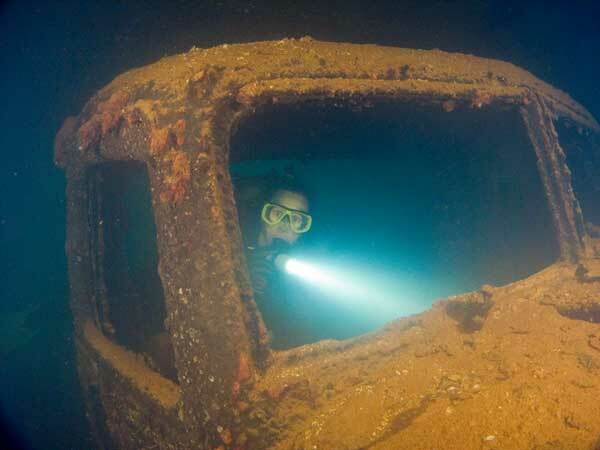 This is an exceptionally good wreck, known locally as the Bulldozer Wreck (for obvious reasons). Well worth doing a number of times if you can. 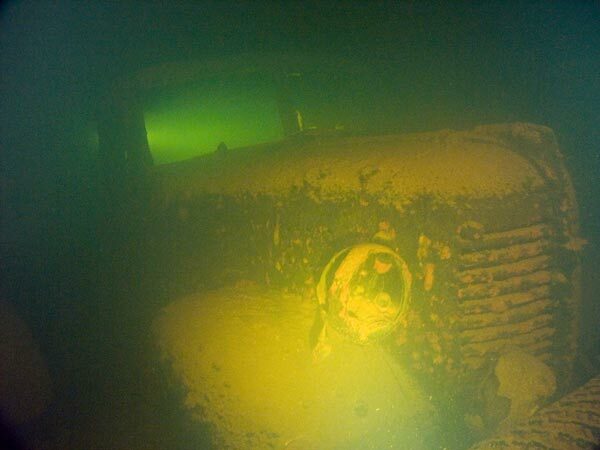 Visibility is normally at least 30 metres.